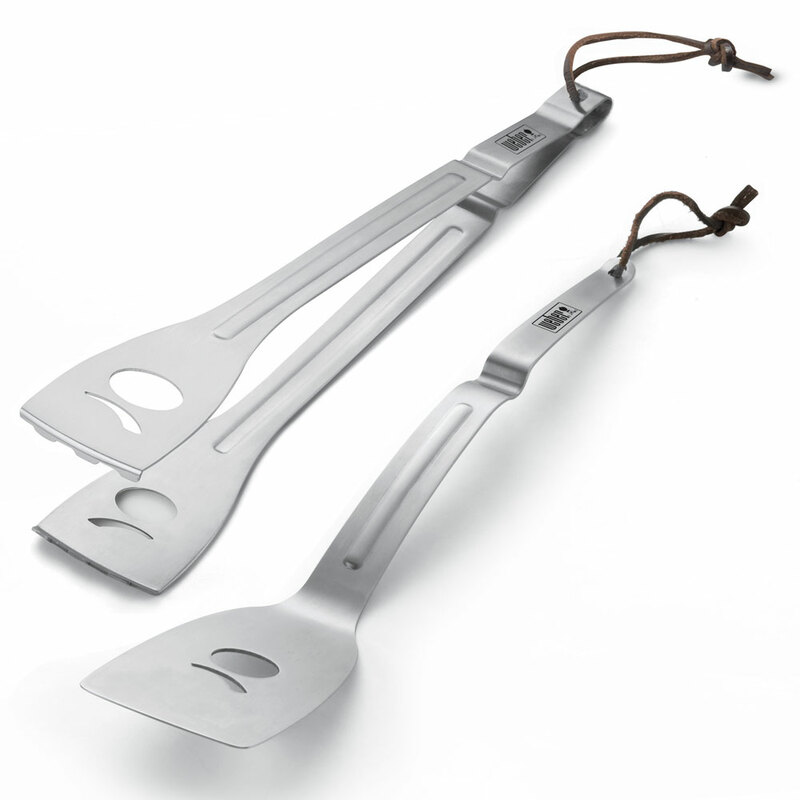 Includes spatula and tongs - great for grilling on the go. This tool set is designed to fit securely under the tables of your Weber Q 120, 200, or 220 gas grill. Includes spatula and tongs - great for grilling on the go. This tool set is designed to fit securely under the tables of your Weber Q 120, 200, or 220 gas grill. https://www.bents.co.uk/weber-q-stainless-steel-tool-set-bbaacc0228 76 Weber® Q Stainless Steel Tool Set https://www.bents.co.uk/media/catalog/product/b/b/bbaacc0228.jpg 21.99 21.99 GBP OutOfStock /Outdoor Living/Barbecues/Weber Accessories/Cooking Tools /Brands/Weber/Cooking Tools Includes spatula and tongs - great for grilling on the go.